AEA-HK Annual General meeting 2013 has been held successfully on 4 Oct 2013 with executive committee members join in. We are pleased to see some new faces and EA enthusiast to join our EX-CO. In the meeting, we have reviewed our events organized in the last 2 years and also discussed the upcoming association’s direction and future events initiatives. In the end of the session, our new Ex-Co member and SIG of Archimate, Rico presented his EA framework in the property industry with the use of Archimate. There are still some vacancies of the EX-CO, please do drop me a e-mail at dave@aea-hk.org for your interests within Oct 2013. Thanks. Association of Enterprise Architect, HK Chapter was founded and formed in 2011 by a group of EA enthusiast in HK. In the past 2 years, we have organized over 6 events and supporting over 10 events worldwide. The EA half-day seminar event on 11 July 2012 co-organized with HK Computer Society have over 100 EA practioners to join. In terms of popularity, we have over 170 members in our Linkedin group and 50 likes in our facebook page (as of 30 Aug 2013). We have kept a good image and connections with the HK companies currently adopting or interested in EA. It is time to plan for the next 3 years 2014-2016. I understand that many of you may interest in joining us as committee members, please kindly join our annual general meeting (AGM) of AEA-HK and this is a very important meeting to us, so I recommend all of you joining. Venue: Standard Life, 40/F Times Square, Tower 1, Causeway Bay, HK. 15th July 2011 is the major milestone for our Association of Enterprise Architects, Hong Kong Chapter. More than 10 Hong Kong professional architects joined our first meeting. Congratulations! 2011-2012 AEA HK executive committee has been formed successfully, it is formed by experienced architects from different industry including government, consulting, banking, insurance, etc. in Hong Kong. 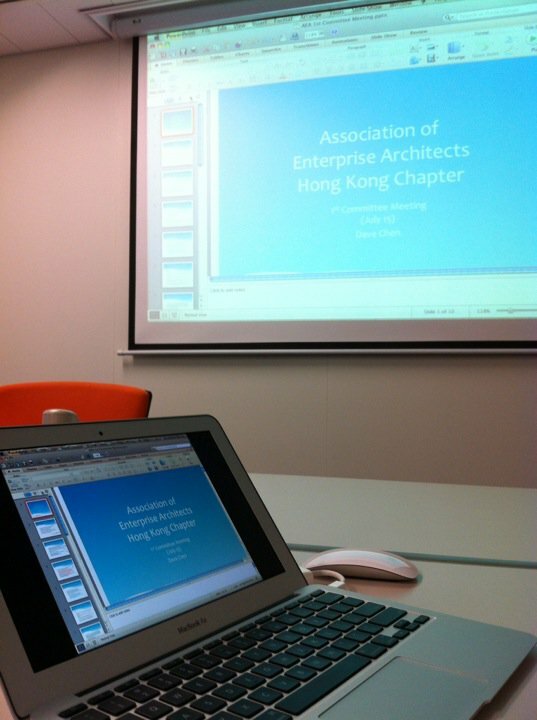 Association of Enterprise Architects, Hong Kong Chapter (AEA HK) will have the 1st committee meeting on 15 July, 2011 (FRI) 19:00. This meeting is a very important milestone for AEA HK. 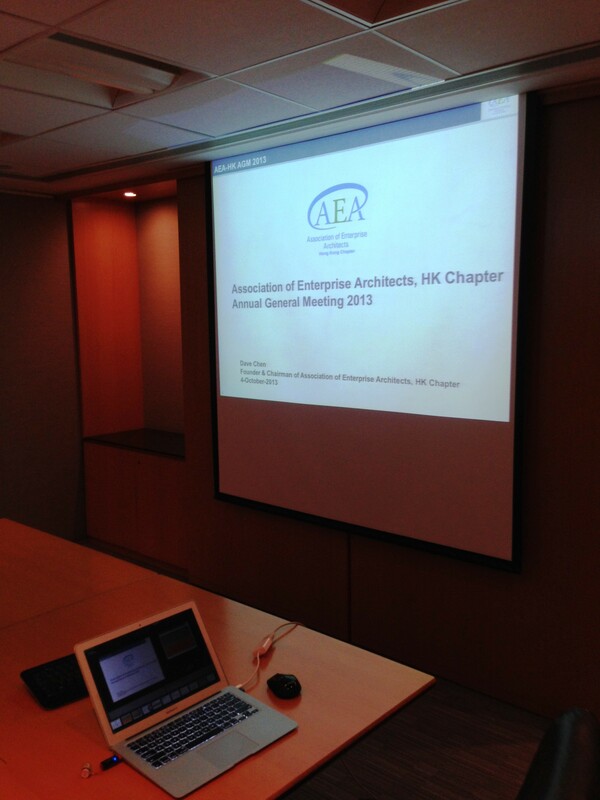 With the gathering of Enterprise Architects professionals in Hong Kong, we will elect the committee members for AEA HK. Invited professionals should have already received the invitation. For those who did not but if you are interested, no worry, you are definitely welcome to join our family. Just drop me a e-mail at dowchen@gmail.com with your brief background. Don’t miss this golden chance! See you there! I am pleased to announce that the Association of Enterprise Architects (a|EA) Hong Kong Chapter was launched on 22 May 2011. This is an approved local chapter under Association of Open Group Enterprise Architecture (AOGEA) of Open Group. Our major objective is to bring the Enterprise Architecture experience from worldwide into Hong Kong. We established this platform for Hong Kong Architects to share their experience and knowledge, ultimately promoting the Enterprise Architecture in Hong Kong. Hope you can join this family and support us!